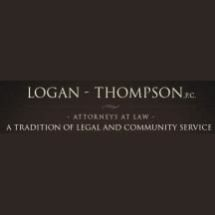 Based in Cleveland, Tennessee, Logan-Thompson, P.C., Attorneys at Law, provides practical legal advice and representation across numerous areas of the law. With a history that dates to 1965, we offer services related to personal injury, workers' compensation, criminal defense, divorce and family law, Social Security Disability and business litigation. With a team of highly experienced attorneys and a long history of results, the firm has received the AV Preeminent* peer rating from Martindale-Hubbell for legal ability and ethical standards. In cases involving personal injury and wrongful death, our attorneys represent injured parties and their families. We help our clients obtain compensation for lost income, medical expenses, pain and suffering, and other losses and damages. In cases involving disabilities and injuries sustained on the job, we help our clients obtain the Social Security Disability and workers' compensation benefits to which they are entitled. Our firm has won millions of dollars in compensation for clients who have been hurt in car, truck and motorcycle accidents, because of defective products and due to any other harm that has occurred because of someone else's negligence. We can advise you regarding your legal rights during a free consultation if you are considering a personal injury or wrongful death lawsuit. The attorneys of Logan-Thompson provide guidance and representation in important family law matters, including divorce, custody and visitation, and child support. Our lawyers understand the stress that these matters bring, and they can assist you in resolving your family law issue as smoothly as possible. Our firm is known for returning phone calls and attending to client matters as they emerge. The firm serves individual and business clients in other areas, including criminal defense and commercial litigation. We can assist you in finding solutions to civil disputes and criminal matters of all kinds. The firm provides practical legal advice and representation across numerous areas of the law. The firm provides legal advice and representation in personal injury and wrongful death matters. The firm provides legal advice and representation in car and truck accident cases. The firm provides legal advice and representation in divorce and family law matters. The firm provides legal advice and representation in criminal defense matters.